I am totally smitten with this looker from West Elm (photo courtesy of their site). We’ve been looking at our patio furniture layout, taking everything out of storage and setting it up for the season. 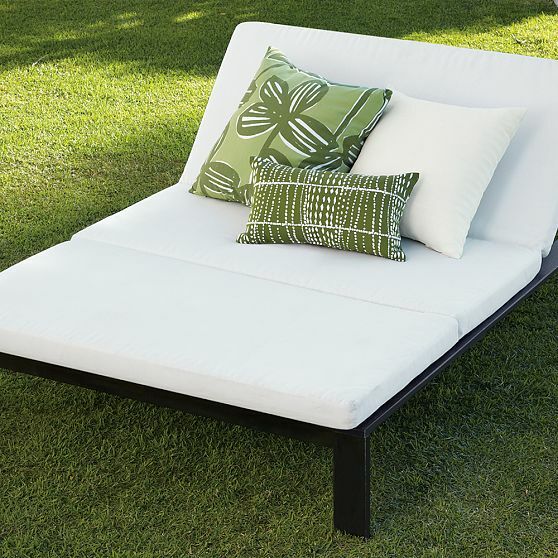 The one thing I still want is a chaise, and this double chaise is just perfection. But it’s solid wood (hard to maintain outdoors), and it would need to be stored during the winter (very heavy). I’m not sure we’re ready for that kind of a commitment from our patio furniture. But, oh, I could look at it all day.